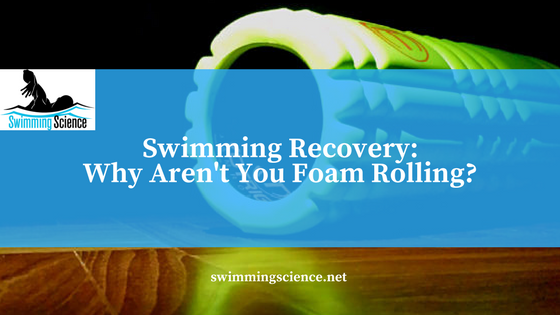 Blog Swimming Recovery: Why Aren't You Foam Rolling? Abstract: The Effects of Foam Rolling as a Recovery Tool in Professional Soccer Players. Foam rolling (FR) is a common strategy used after training and competition by players. However, no previous studies have assessed the effectiveness of FR as recovery tool in sports populations. The aim of this study was to examine the effectiveness of FR (20 minutes of foam rolling exercises on quadriceps, hamstrings, adductors, gluteals, and gastrocnemius) and passive recovery (20 minutes sit on a bench) interventions performed immediately after a training session on Total Quality Recovery (TQR), perceived muscle soreness, jump performance, agility, sprint, and flexibility 24 hours after the training. During 2 experimental sessions, 18 professional soccer players (age 26.6 ± 3.3 years; height: 180.2 ± 4.5 cm; body mass: 75.8 ± 4.7 kg) participated in a randomized fully controlled trial design. The first session was designed to collect the pre-test values of each variable. After baseline measurements, the players performed a standardized soccer training. At the end of training unit, all the players were randomly assigned to the FR recovery group and the passive recovery group. A second experimental session was carried out to obtain the posttest values. Results from the between-group analyses showed that FR had a large effect on the recovery in agility (Effect Sizes [ES]= 1.06), TQR (ES= 1.08), and perceived muscle soreness (ES= 1.02) in comparison to passive recovery group at 24 h post-training. Thus, it is recommended soccer coaches and physical trainers working with high-level players use a structured recovery session lasting from 15 to 20 min based on FR exercises that could be implemented at the end of a training session to enhance recovery between training loads [read more about foam rolling for swimmers]. Foam rolling and mobility work has been advocated by this author for over a decade for injury prevention and recovery. 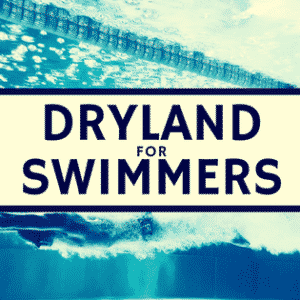 Over the decade, research has amounted and more support exists like this that foam rolling or mobility work should be a staple in all swimming programs. Future studies should specify the amount of pressure or intensity utilized with the foam rolls in this study, as further guidelines and specifics are still necessary for maximizing effectiveness. When getting started with doing foam rolling or mobility work, make sure you know basic anatomy and consider working with a physical therapist to set-up an individualized program. 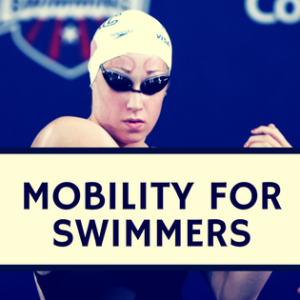 For more information on recovery and improving performance, sign-up below for a free 30-minute lecture where I discuss mobility in more detail. 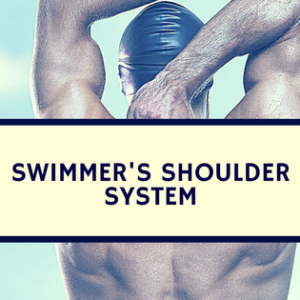 Also consider purchasing mobility for swimmers, a complete guide to how to roll out each muscle and why.